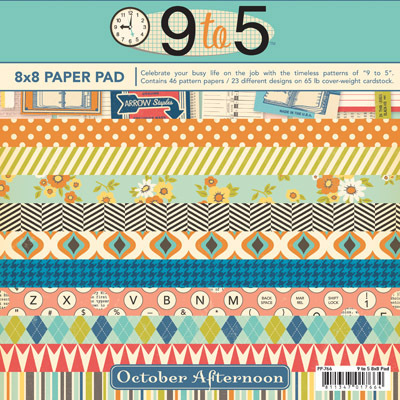 October Afternoon paper pads containing 46 sheets of 8"x8" pattern papers (23 different designs). These pattern papers are printed single-sided on 65 lb cover-weight cardstock. They are perfectly sized for mini-books and card-making. You'll also love combining the smaller patterns from the 8"x8" pads with the larger patterns from the 12"x12" papers. Printed using only soy-based inks. Acid and Lignin free.